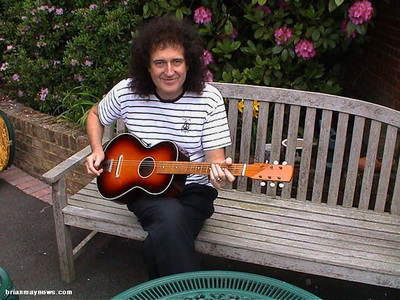 In October 2002, I contacted Pete Malandrone (Brian May's guitar tech), having heard that Brian's first guitar, that he received on his seventh birthday, was in need of restoration. 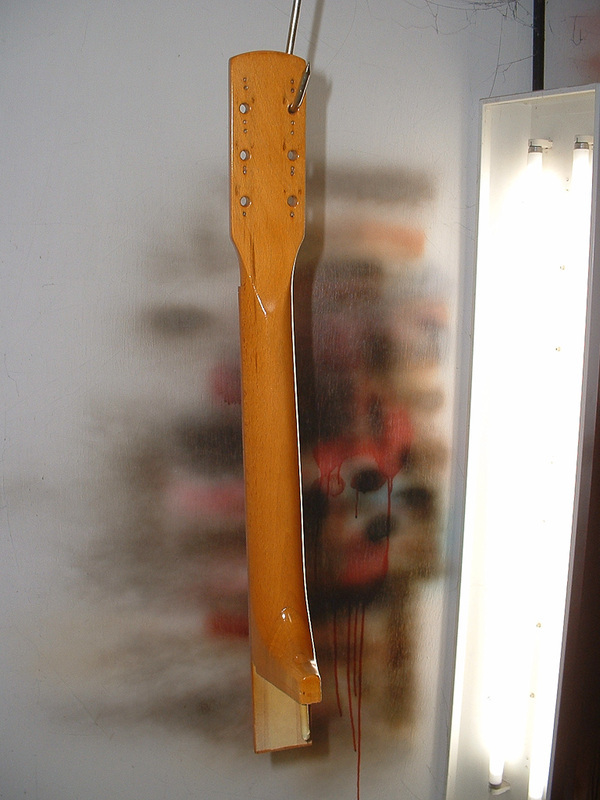 In December, I took a trip to meet with Pete and Brian to discuss what needed doing. 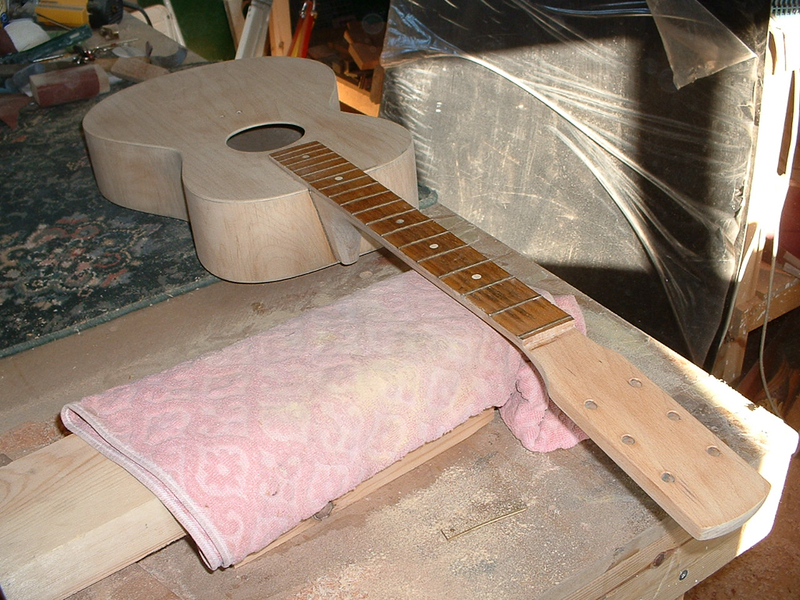 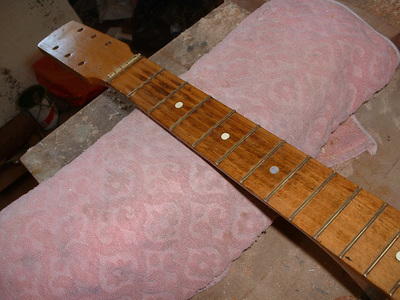 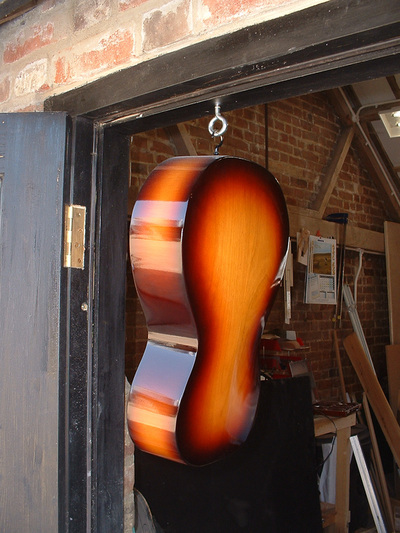 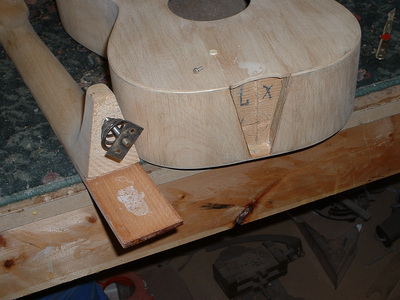 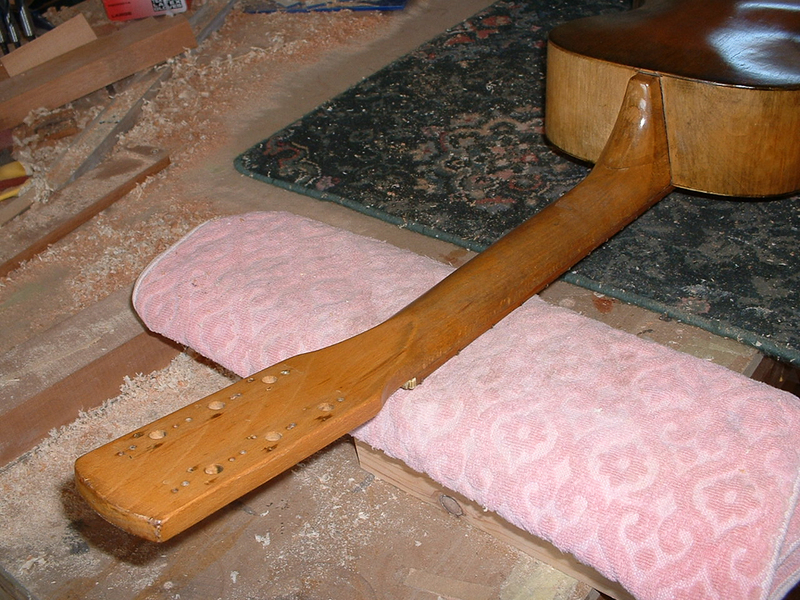 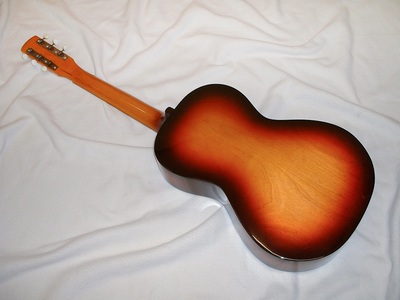 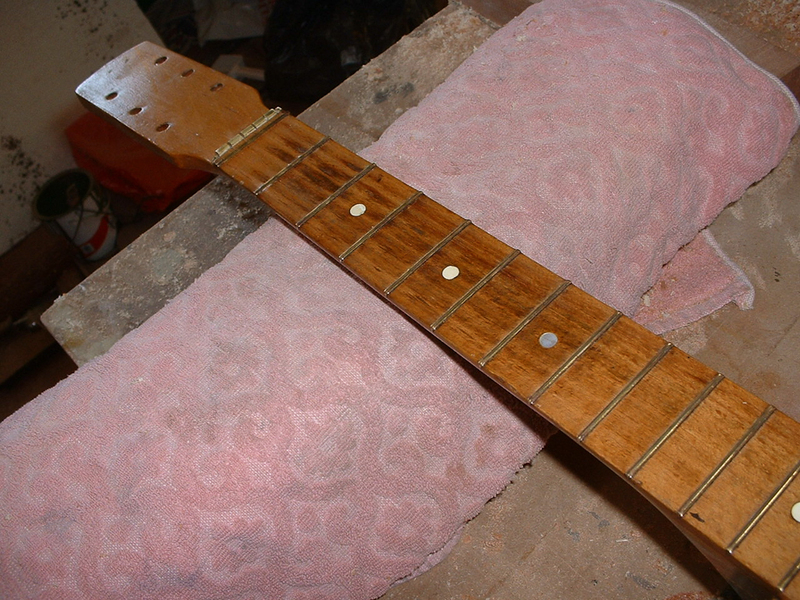 The job was relatively straightforward - the existing finish was to be stripped, all the holes filled, any repairs undertaken and then a complete refinish - minus the fingerboard. 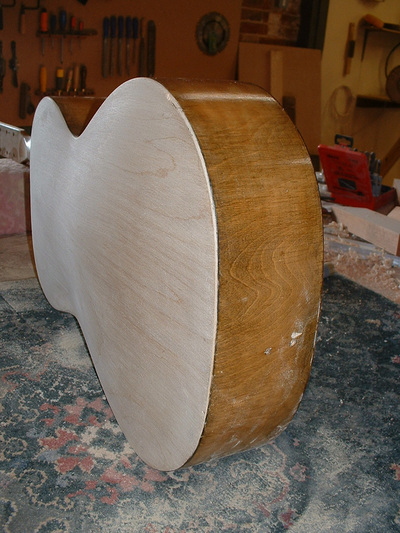 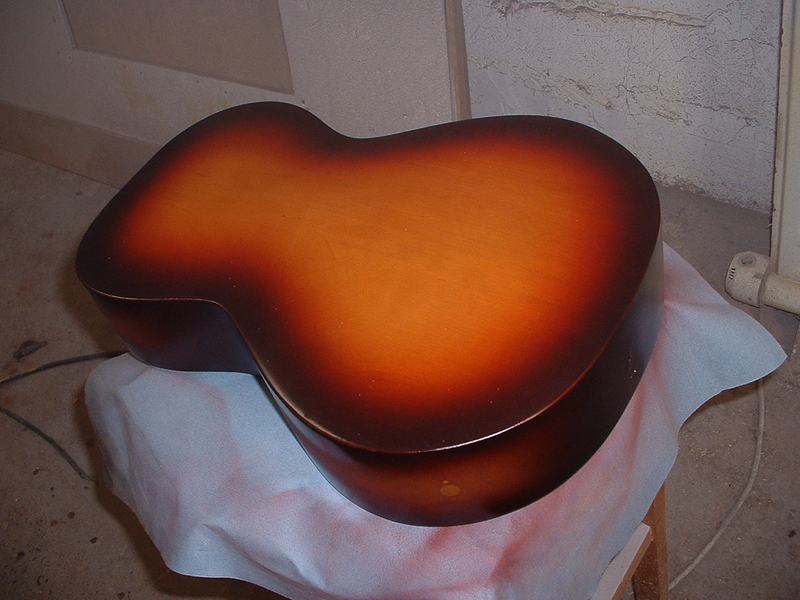 Brian liked the "worn in" feel of the existing finish, so this was left untouched. 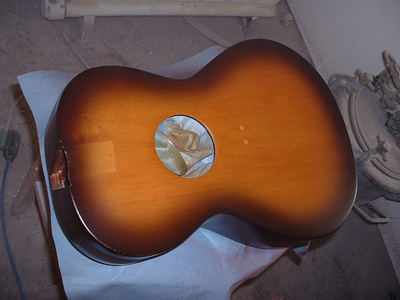 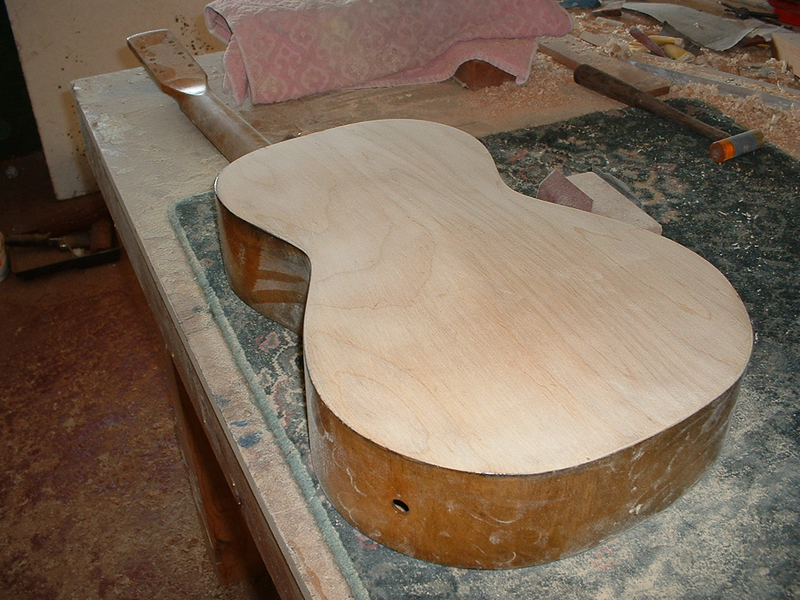 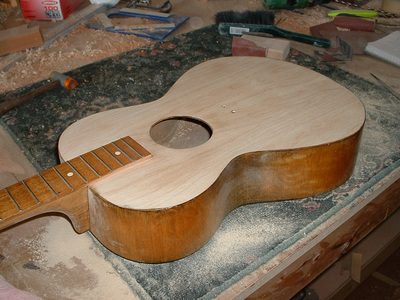 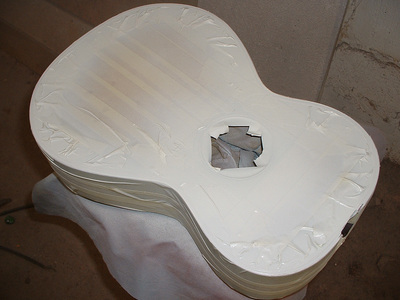 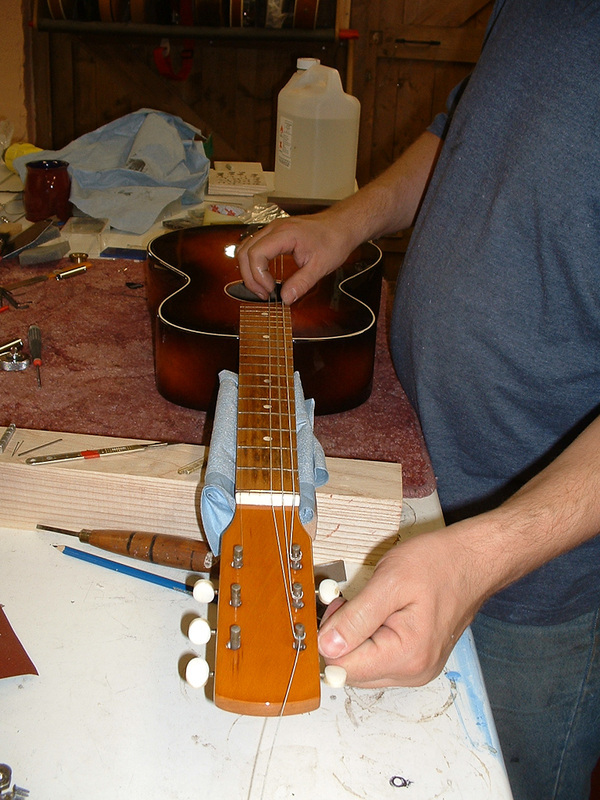 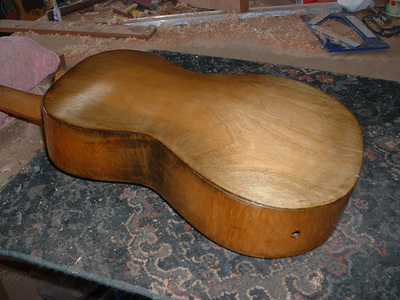 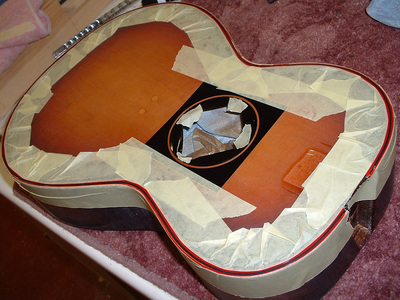 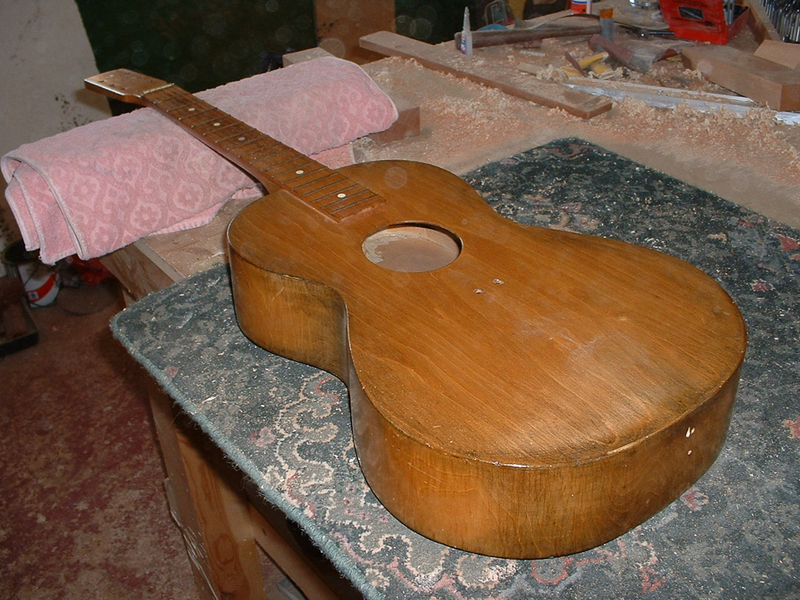 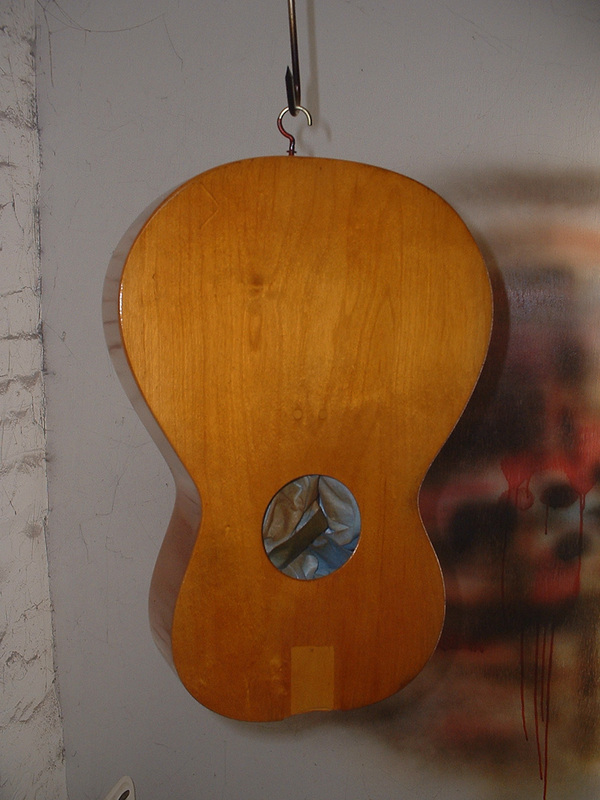 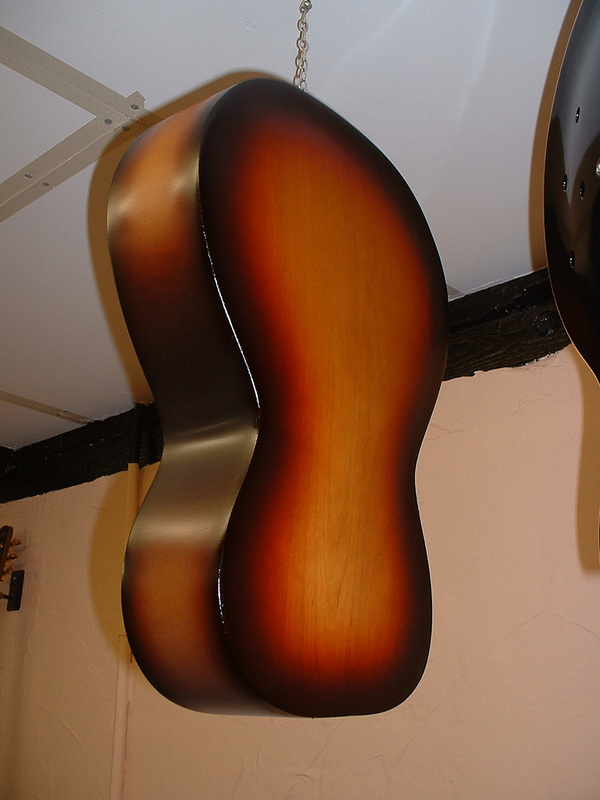 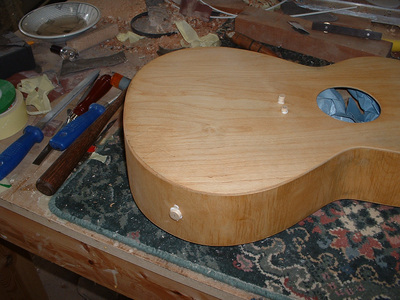 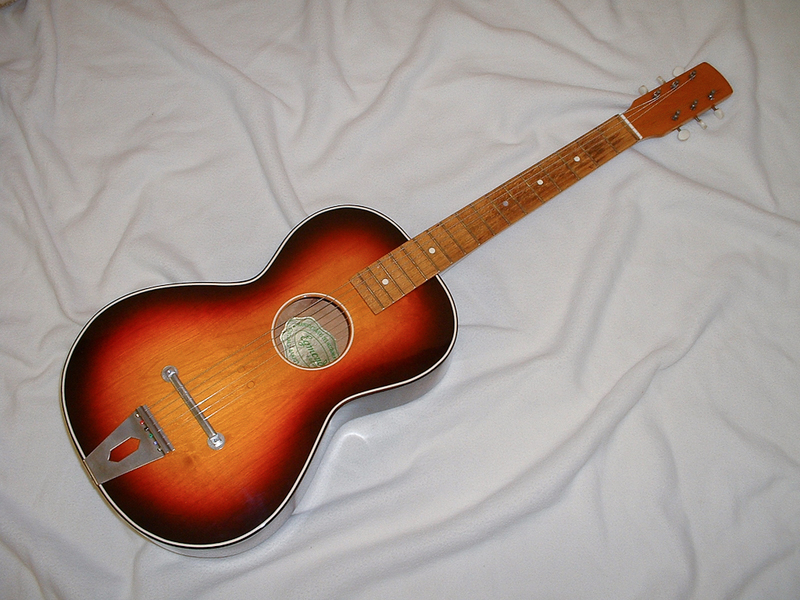 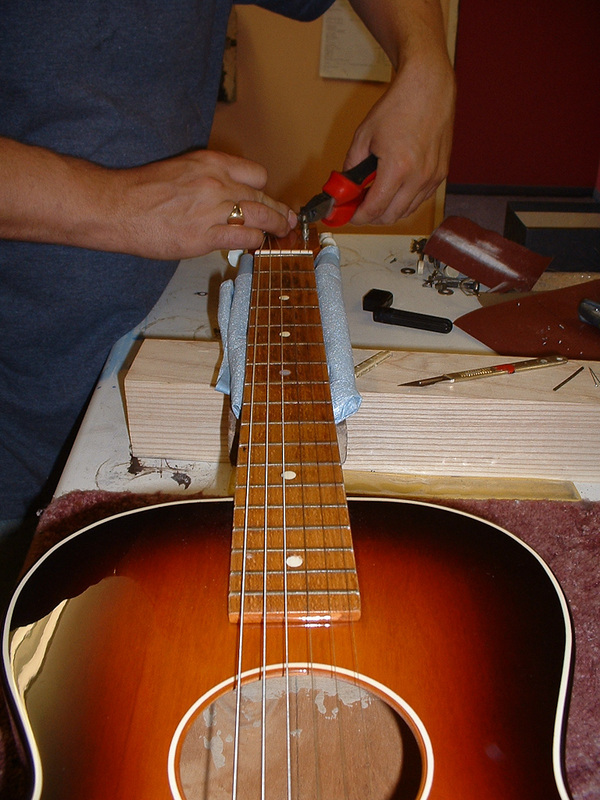 Over the next few months, the guitar was slowly and painstakingly restored to it's former glory. In June 2003, with the guitar now finished, I returned it to Brian and he was absolutely delighted.